This guy has density, consistancy throughout his fleece and a very soft hand which he gets from his famous sire, Legends Challenger of KPR. With Legends Challenger breedings being limited to 5 per year this guy should get very popular in the spring of 2010! 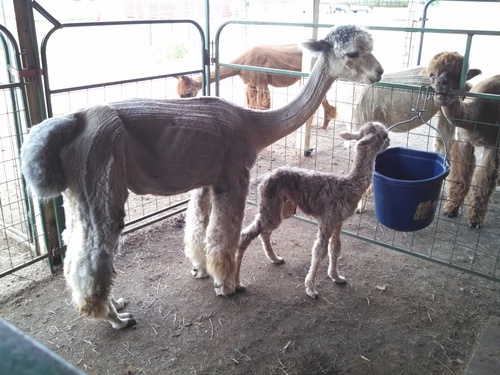 Update: Legend's cria are on the ground and looking spectacular. 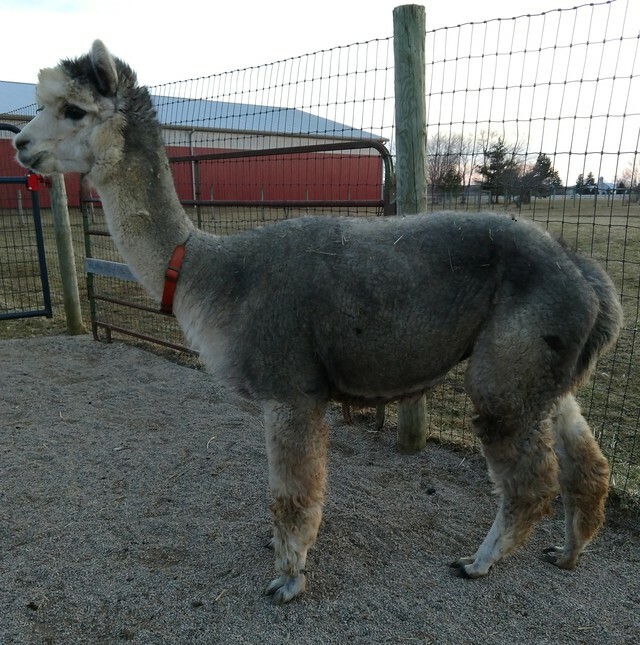 Check out Legend's China Girl at Our Little World Alpacas! Legend took second place at the 2011 Futurity with some very heavy competition! Mandy has developed into a very lovely girl! She has a consistant crimp structure throughout, a very soft handle and excellent conformation. She was registered as a dark rose grey but has been showing as a bay black. She does have grey fibers so she will bring out the grey in her background. 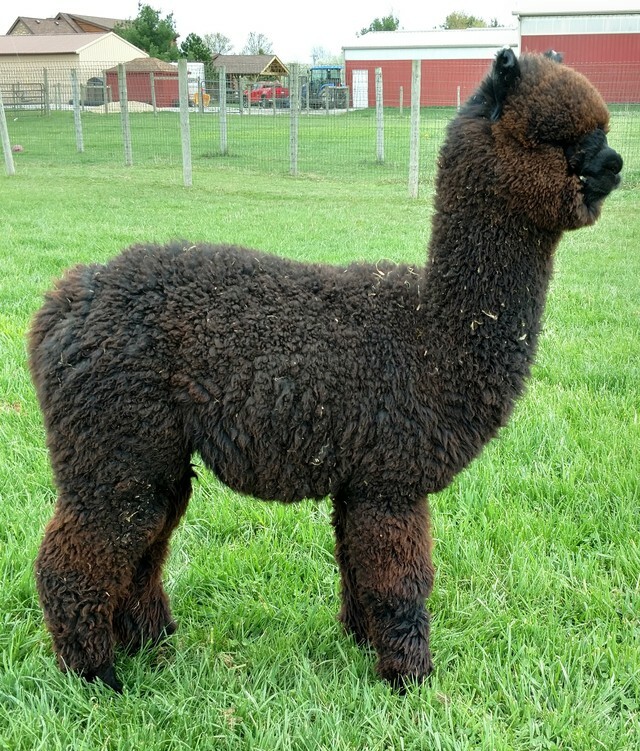 Mandy has CPeruvian Silvio and Royal Fawn in her background and her sire is HSA's Greystone! 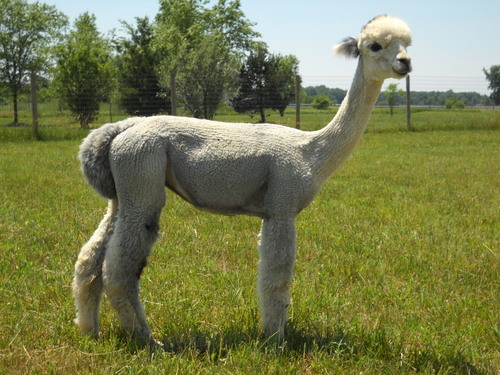 Mandy is bred to FDA Bisturi's Rockin Steel for a July 2017 Cria. Beautiful gray female out of our Full Tilt's Mandalay Bay and from Heatherbrook's Legend. This girl turns heads everywhere she goes. 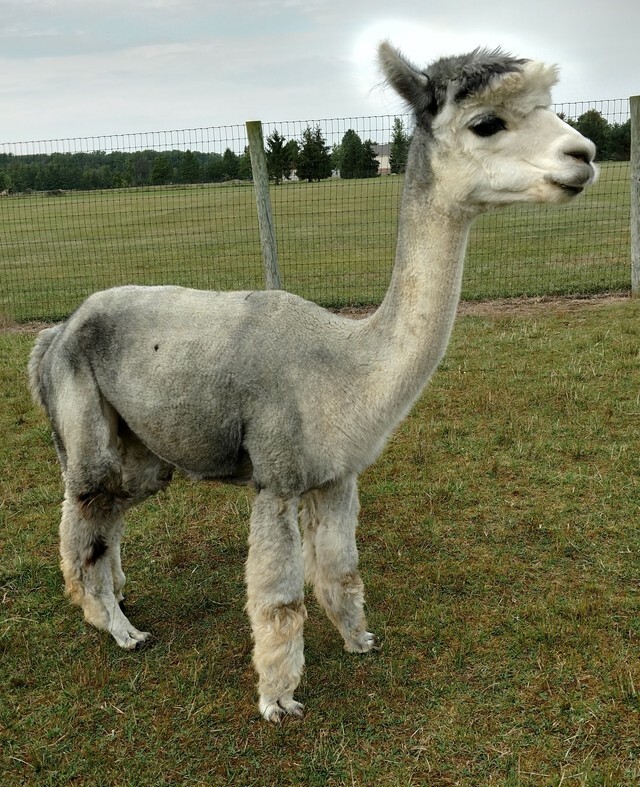 Classic gray markings and soft, dense fleece. Solid blanket with very few spots. China sports a Blue ribbon and Color Champion under Mary Reed. China had a gray girl in 2014 with MFI Prince of Darkness. We decided to breed her back to Prince for a Summer 2015 baby. Princeton was born on Mother's Day, May 10. Princeton is a light rose gray proving that Prince does cover our China well. Princeton is SOLD. The tradition continues. China gave us a beautiful black boy out of Jeremiah's Quatrain. We call him OLWA Quatrain's Quintessential. 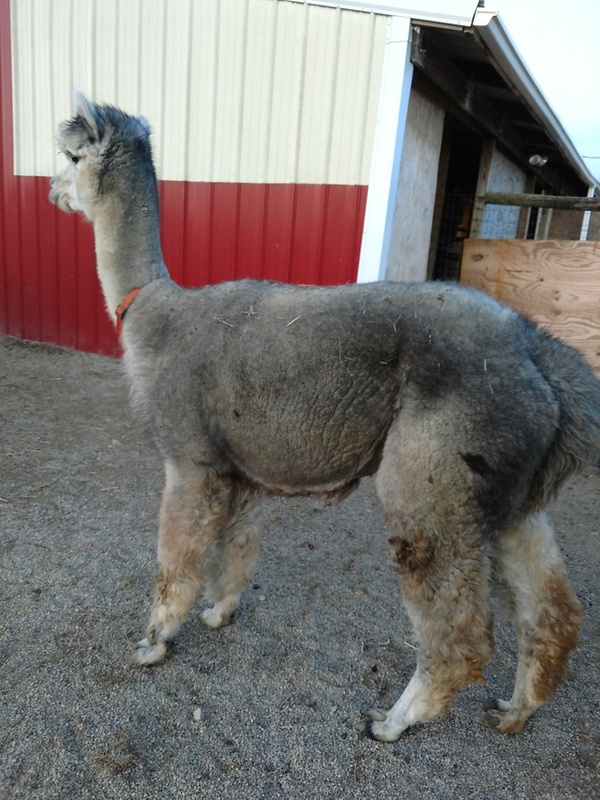 China gave birth to a grey male cria we call Fast Trax out of Phantasy Pharm's X-Phactor. Who doesn't want an X-Phactor baby? Fast Trax is SOLD. 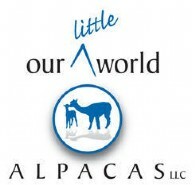 China is offered with two breedings to any of Our Little World Alpacas herdsires. We highly recommend breeding to OLWA Blackbeard’s Ransom. Stop by and see China. You won't be disappointed. 1st Place and Color Champion, 2013 Spring Alpaca Show, Huron, Ohio. Judged by Mary Reed.